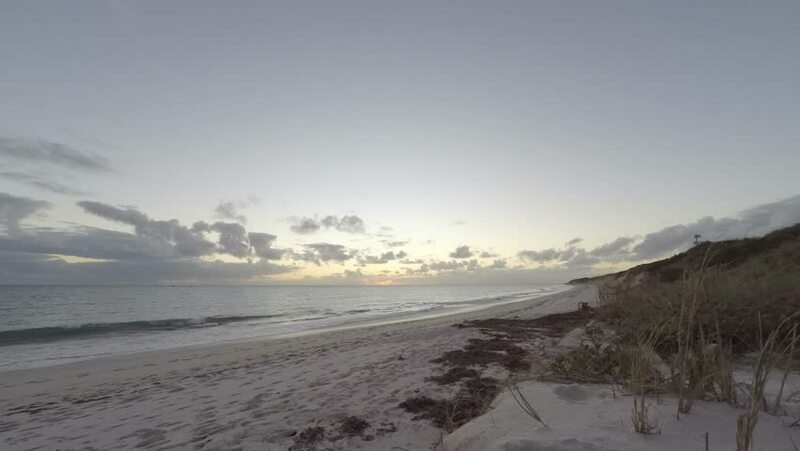 4K Beach Sunset Time lapse (RAW footage), Perth showing a beautiful sunset over the Indian Ocean. Beautiful colors and clouds. 4k00:274K epic sunset beach in Playa de Cofete. Fuerteventura. Spain. hd00:17Strong waves washing the pebble beach with mountain background. hd00:17Broadbeach view to Coolangatta, Gold Coast, Australia. A rippled, wind swept sand dune. A stormy ocean and sky in the background with a headland and buildings in silhouette on the horizon.